Chemical Guys Black Optics Microfiber Polishing Pads remove swirl marks, scratches, and restore clarity and reflection to paintwork. The Black Optics pad system is great for beginners or professionals looking to restore paintwork quickly and easily. Microfiber is a superior polishing material because of its ability to cut through harder ceramic clear coats and softer single stage paints alike. Microfiber pads cut fast, finish fine, and are extremely easy-to-use. While professionals can choose between the dozens of foam and wool pads used for cutting and finishing purposes, the average enthusiast doesn’t have the time or money to try every pad for desired results. The Black Optics microfiber system has one pad for cutting, and one pad for finishing. Choose the Orange Microfiber Cutting Pad to remove heavy swirls, scratches, oxidation, and defects from single stage and clear coat finishes. 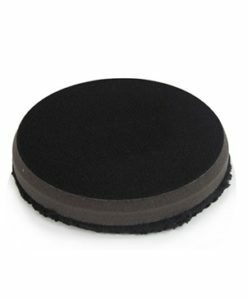 Follow up with the Black Microfiber Finishing Pad to restore depth, gloss, and luster, and refine any heavy compounding marks. This simple system virtually eliminates any human mistakes, and hours of unnecessary trial and error. The versatile system also finishes just like fine soft foam finishing pads to refine a lustrous and clear finish. The redesigned pads feature a beveled edge to fit into tight areas. 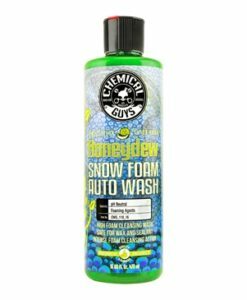 Choose Chemical Guys Black Optics Microfiber Pads to compound and polish any paint finish quickly and easily. The 4.5-inch microfiber polishing pad is the professional’s secret for restoring gloss, reflection, and shine with a dual action polisher in compact areas. Spinning the tall microfiber pile with a rotary polisher would just flatten the fluffy fabric in one direction, but both dual action polishers and large-throw orbital buffers “scrub” the paint with a random rotational pattern. This scrubbing action keeps the microfiber polishing material fluffy and in full contact with the painted finish on every spin. The ultra-compact 4.5″ diameter focuses the polishing machine to polish paint in cramped spaces, and on small body panels like bumpers, door sills, vents, louvers, and fender flares. Attach the 4.5″ Black Optics Polishing Pad to any 3″ dual action backing plate via the hook and loop interface, then set to work with your favorite finishing polish. The 4.5″ polishing pad refines compounding marks and haze from removing wash marring, swirl marks, oxidation, and scratches from any glossy painted finish. Easily maneuver over dramatic curves and contours, tight spaces, and thin body panels without rubbing the buffing pad or backing plate on areas that are not to be polished. Machine polishing is the only process that permanently removes paint swirls and scratches. Dual action polishers combine rotation with oscillation to replicate the motion of the human hand, which spreads polishing friction and reduces the chances of burning paintwork. Choosing the right combination of machine, pad, and chemical has gotten difficult over the years as manufacturers designed dozens of wool and foam pads, compounding the problem for enthusiasts to choose the right products for their job. The Chemical Guys Black Optics Microfiber Polishing System is easy-to-use, and effective on all paint finishes. The Black Optics line contains just two types of pads: Orange and Black. Use the Orange Microfiber Cutting Pad with heavier compound and polish to remove heavy swirls, scratches, oxidation, and defects from harder paint finishes. Choose the Black Microfiber Finishing Pad to refine lighter scratches and compounding marks, and restore full depth, gloss, and luster to any paint finish. Use a single cutting polish or one-step product on either pad to cut away heavy defects, and finish to perfection, saving valuable time on any job. The Black Optics Microfiber Pads deliver superior results on any paint finish in less time. Microfiber polishing pads generate more cutting power for faster correction than foam pads, and also refine the finish with a deeper luster. The Black Optics premium microfiber is cut with a plush nap with short strands to effectively scrub away and exfoliate dead paint. The Black Optics foam backing feature a bi-angular beveled profile that slips the pad into tight spaces for improved polishing abilities. Pair the Black Optics microfiber polishing pad system with the TORQ R5 vented backing plates for fast and comfortable cutting and finishing powers on any vehicle. For best results, use microfiber pads with any dual action polisher. 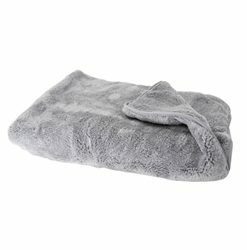 Microfiber pads quickly cut away swirls, scratches, wetsanding marks, chemical etching, and more. Chemical Guys Black Optics Microfiber Polishing Pads make restoring your paintwork quick and easy. 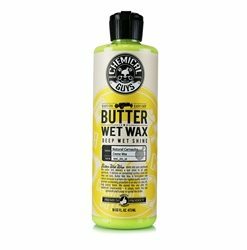 Covering swirls with glaze or wax is only a temporary measure that eventually washes away. Machine polishing is the only process that can physically repair paint and permanently remove scratches and swirls. Choosing the best pad to cut and finish paintwork can be difficult since there are so many types of wool pads, foam pads, and polishing compounds. The Chemical Guys Black Optics Microfiber Polishing Pad system is easy-to-use. Use the cutting pad to cut away heavy swirls, scratches, and defects; and use the finishing pad to refine the finish and restore depth, gloss, and luster. Black Optics pads work best with any dual action polisher, which makes them safe for any detailing professional or enthusiast. 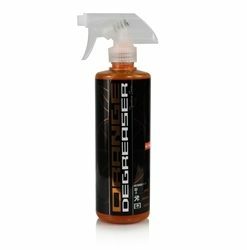 Use Black Optics microfiber pads to polish paintwork, remove heavy swirls and scratches, remove chemical etching or water spots, remove wetsand marks, polish headlights, polish metal, polish wheels and rims, and more. The durable foam backing pad stands up to hours of use with extended longevity. Choose Chemical Guys Black Optics Microfiber Polishing Pads for every detailing job. Polishing pads must be cleaned to ensure optimal cutting power and longevity. Use Polishing Pad Cleaner and Rejuvenator to clean, restore and prolong the lifespan of buffing and polishing pads. 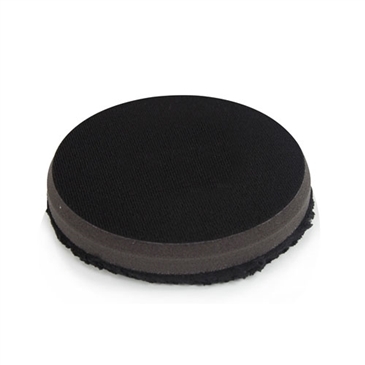 Scrub the Black Optics pad with the ergonomic Polishing Pad Cleaning Brush to loosen compounds and polishes and restore the original texture. For large scale polishing jobs, use the Grit Guard Universal Pad Washer to clean and dry all types of buffing pads on virtually any machine in seconds. Fluff up the microfiber strands with the Pad Cleaning Brush to maximize polishing action before every use.